The colonial-era French – captivated by its complex, distinct flavour – once exported pepper grown in Kampot by the tonne. Shipments of the spice, prized as the world’s best, continued until the 1970s, when production was suddenly wiped out. Forty years later, the fabled spice most thought lost to the culinary world is making a dramatic comeback. Robert Carry reports. Photography by Charles Fox. The earliest accounts of pepper production in Cambodia come from Chinese diplomats who visited the Angkorian Empire almost a millennium ago. It later came to the attention of the West in the 19th century, when French colonists identified it as a key export commodity. At the height of its power, only pepper grown in the Kampot region was seen as good enough to grace the tables of the French empire’s finest restaurants. The spice remained a key ingredient in French cuisine until the 1970s – when disaster struck. With much of Cambodia’s population pushed to the edge of starvation on collectivised rice farms under the Khmer Rouge regime of 1975 to 1979, there was no room for a luxury like pepper. When the Khmer Rouge was finally driven from power, pepper production was long gone and many of those with knowledge of how to farm the spice had died. However, as peace bedded in, Kampot pepper was about to make an unlikely comeback. In 2002, Anna Him began clearing the land that would become Starling Farm – now the largest pepper producer in Kampot. “We started with nothing. We had a few wild plants we found and we got a few others from farmers in the area who had also just started growing pepper again,” says the businesswoman. In order to safeguard their knowledge of production methods, the farmers founded a pepper growers’ association and today, after a decade of painstaking work, Kampot pepper is again coming to the attention of the world. Producers are struggling to meet demand for exports, with increasing prices giving those involved in production a good living. According to local reports, cultivated pepper plants now cover more than 90 hectares of land, up from 32 hectares prior to 2013. 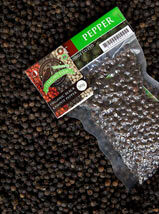 Kampot pepper boasts more than just a fascinating back-story. The spice is grown using traditional farming methods and was awarded a protected Geographical Indication from the World Trade Organisation in 2010. In the same way that only sparkling wines made with grapes from France’s Champagne region can legally be labelled as such, only pepper grown in Kampot using organic methods gets to bear the province’s name. The spice comes in four main varieties – black, red, white and green. Green pepper, known for its mild, almost citrus taste, is harvested when the peppercorns are still young on the vine. However, it must be eaten within four days of picking. Black pepper, the most popular variety, has a stronger taste that can range from intensely spicy to mildly sweet with hints of flower, eucalyptus and mint. The red variety, created when the peppercorns are allowed to fully ripen on the vine, is sweeter, more full and rounded, but with less heat than the black variety. 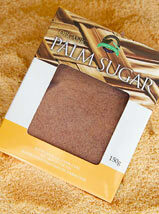 It can be used to season anything from red meat to desserts. White pepper, meanwhile, is created by soaking ripe peppercorns in hot water, prompting the red skin to fall away. The pepper’s unique flavour first struck Tom Gordon and his wife, Cris, during a visit to Southeast Asia in 2008, some 38 years after he first arrived in the region as a 20-year-old conscript during the Vietnam War. “We made our way out to Kep and Kampot, and we stopped and visited a small pepper farmer. We were just blown away. It was incredible – it was like nothing we had ever tasted,” he says. It was through that first meeting that the seeds of what would become The Pepper Project were planted. “Cris asked what we could do to help, and the farmer said, ‘Sell my pepper in your country’,” adds the veteran. Thanks to the efforts of such individuals, and the estimated 126 families now involved in pepper production in the province, the legendary Kampot pepper is at last reclaiming its position at the top table of world spices.